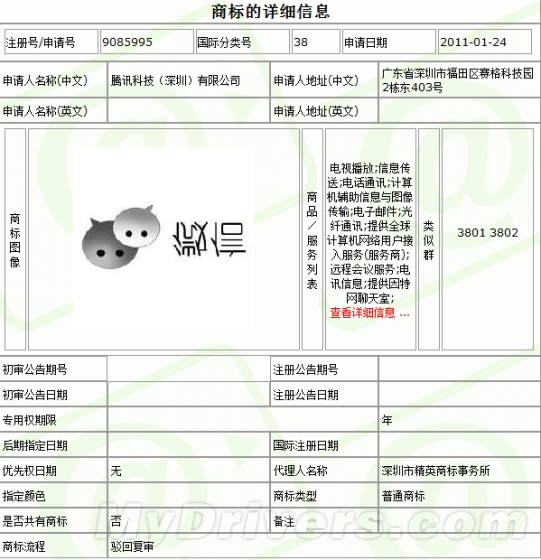 Tencent got involved in trouble in the trademark right of "Weixin". Other company already filed its trademark earlier than them. 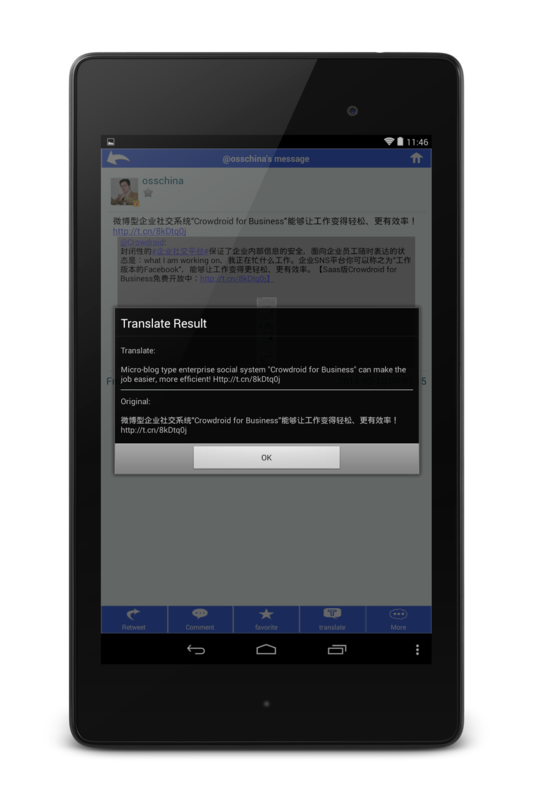 "Weixin" is a one of most popular Instant Messenger tool in China. 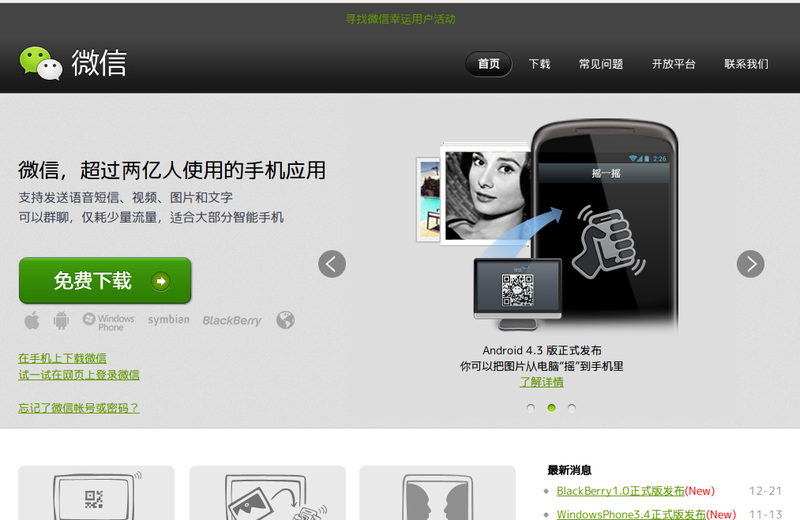 Its international version is called "WeChat". Recently, they got involved in trouble with the trademark of product name. 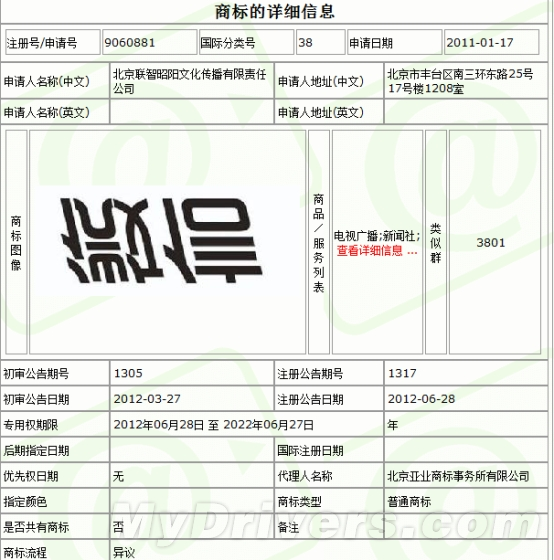 Tencent filed its trademark on January 24, 2011. But its one week ago, Beijing based other company already filed the trademark right of "Weixin" as follows. Generally speaking, Weixin is already a well-known word at that time, so Tencent eventually may own its trademark right. 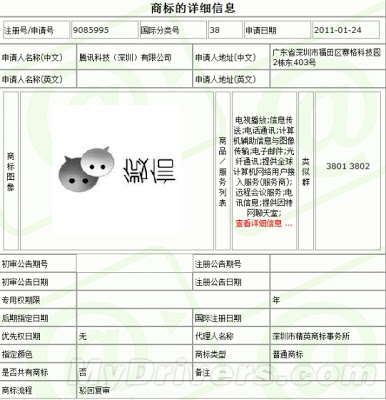 But on the other hand, the trademark right is preferred the earlier filing, so there is a possibility that Tencent have to change their name of "Weixin", or have to pay the royalty of this trademark right. We have to keep watching this event as before, but I think that this is a simple mistake of Tencent. Because Weixin started its service on January 21, 2011. So they can file its trademark earlier than January 17. Apple also struggle with the similar problem in China, we have to treat with these problem more carefully.